Dipesh graduated from King’s College London in 2007. Following his dental degree Dipesh’s early postgraduate training involved working as a senior house officer at the Royal Surrey and Cardiff University Hospitals in the Oral Surgery and Restorative Dentistry Departments. Dipesh is a calm and conscientious dentist, qualities appreciated by all of his patients. His relaxed approach is especially beneficial if you are nervous of dental treatment. He has a passion for high quality dentistry and as such aims to deliver only the highest quality dentistry for his patients. To further enhance his skills Dipesh continually looks to keep up to date with the latest advances in dentistry by attending numerous postgraduate courses. Currently he is undertaking a Masters degree at Kings College London which is well regarded for providing high quality training in all aspects of general and cosmetic dentistry. 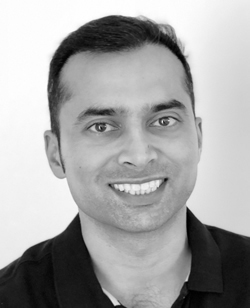 Dipesh has also completed the prestigious Dental Implant Diploma with the Royal College of Surgeons and is experienced in the replacement of missing teeth using fixed dental implants. He has also had considerable further training in cosmetic dentistry and has ventured to the States for part of this. Dipesh has a particular interest in cosmetic dentistry and provides a wide range of treatments at the practice including; cosmetic fillings, whitening, veneers, short term braces and root canal therapy. Outside of work, Dipesh spends most of his time with his wife and two young daughters. He enjoys food and travelling and stays fit by playing football and squash.